Click here to find the dealer nearest you. For those who want, we can add mudguards and carrier. Like all of our bikes, the electric system – motor, controller, torque sensor, waterproof cabling and display – all come from Asia’s most trusted name in e-bike electrics: Bafang, while the battery cells come from LG. (You should insist on LG, Samsung or Panasonic cells in your battery.) You won’t find an integrated system like this, designed together to work together and guaranteed together, on any other ebike in this price range. We have a nationwide service network, spare parts available in NZ, and a 2 year warranty on the electrics, plus 6 years on the frame and 1 year on other parts. Was $2595.00 now just $2076 with Supergold discount. 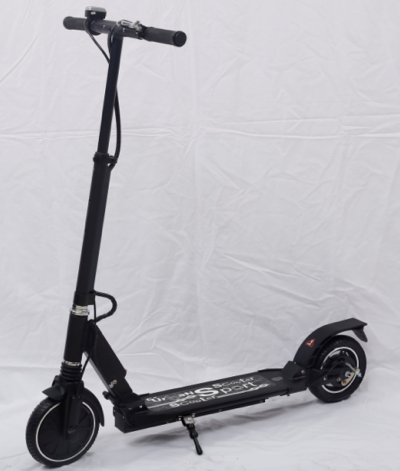 Looking for a step through bike that has the battery integrated into the frame? A bike that’s great around town but can also be used for light trail riding? The Tranzit may be the ticket. Unique, adjustable handlebar stem means you can move the handlebars into the perfect position for you. 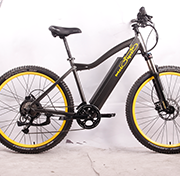 Like all of our bikes, the electric system – motor, controller, waterproof cabling and display – all come from Asia’s most trusted name in e-bike electrics: Bafang, while the battery cells come from LG. (You should insist on LG, Samsung or Panasonic cells in your battery.) You won’t find an integrated system like this, designed together to work together and guaranteed together, on any other ebike in this price range. We have a nationwide service network, spare parts available in NZ, and a 2 year warranty on the electrics, plus 6 years on the frame and 1 year on other parts. 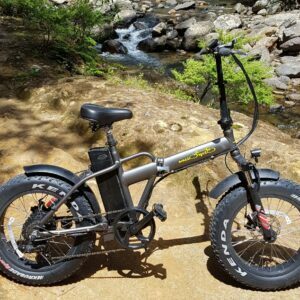 Looking for an ebike that’s equally at home around town and on the trails, without breaking the bank on features you don’t really need? The Roam is your bike. Proven on trails like the Pureora Timber Trail and Alps to Ocean, yet often seen at neighbourhood cafes. 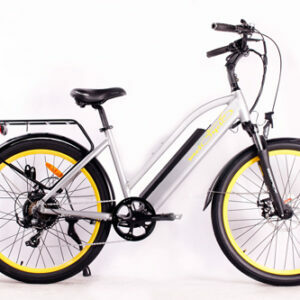 Like all of our bikes, the electric system – motor, controller, torque sensor, waterproof cabling and display – all come from Asia’s most trusted name in e-bike electrics: Bafang, while the battery cells come from LG. (You should insist on LG, Samsung or Panasonic cells in your battery.) You won’t find an integrated system like this, designed together to work together and guaranteed together, on any other ebike in this price range. We have a nationwide service network, spare parts available in NZ, and a 2 year warranty on the electrics, plus 6 years on the frame and 1 year on other parts. This little beauty has 20″ wheels, and folds down in seconds to store in your boot, your camper or your boat. We have a nationwide service network, spare parts available in NZ, and a 2 year warranty on the electrics, plus 6 years on the frame and 1 year on other parts. Ever ridden or fancied a Harley? 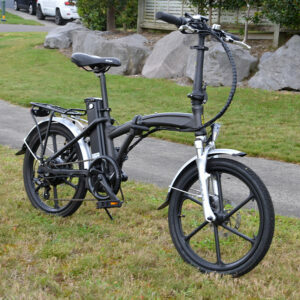 Then the Cruz maybe the e-bike for you. Cool retro style with wrap-around handlebars and white wall tyres. 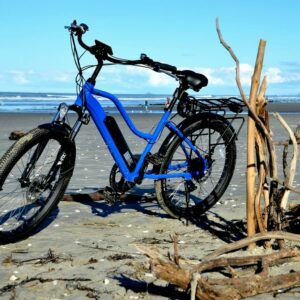 Like all of our bikes, the electric system – motor, controller, torque sensor, waterproof cabling and display – all come from Asia’s most trusted name in e-bike electrics: Bafang. You won’t find an integrated system like this, designed together to work together and guaranteed together, on any other ebike in this price range. We have a nationwide service network, spare parts available in NZ, and a 2 year warranty on the electrics, plus 6 years on the frame and 1 year on other parts. The FAT20 has 20 inch wheels, 4 inch wide tyres, and folds in seconds to go in the boot, the boat or the camper. It comes with a carrier, not shown. 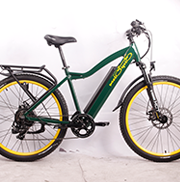 Like all of our bikes, the electric system – motor, controller, waterproof cabling and display – all come from Asia’s most trusted name in e-bike electrics: Bafang, while the battery cells come from LG. (You should insist on LG, Samsung or Panasonic cells in your battery.) You won’t find an integrated system like this, designed together to work together and guaranteed together, on any other ebike in this price range. We have a nationwide service network, spare parts available in NZ, and a 2 year warranty on the electrics, plus 6 years on the frame and 1 year on other parts. ©2019 MeloYelo All RIghts are Reserved.